We provide the first measurement of knowledge spillovers from venture capitalfinanced companies onto the patenting activities of other companies. These spillovers are nine times larger than those generated by the corporate R&D of established companies. The effects are heterogenous, depending on who generates the spillover and who is the likely recipient. 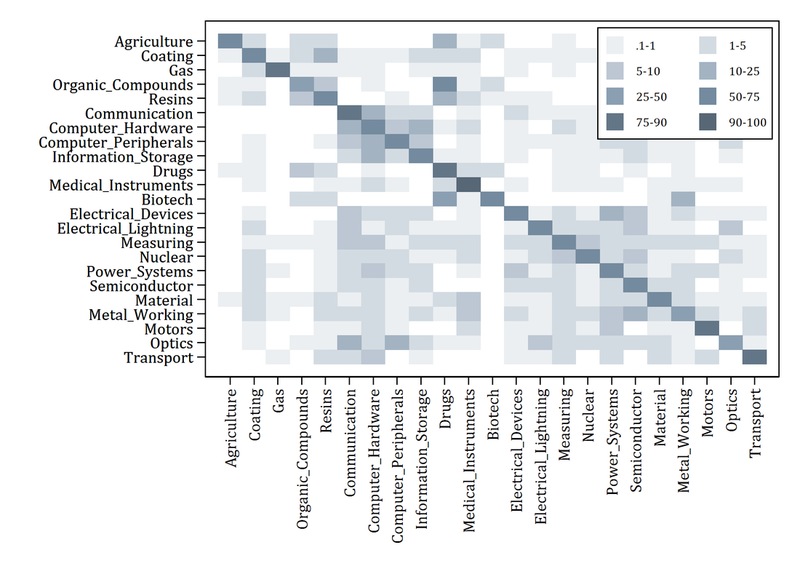 In general, complex product industriestend to be more conducive to spillovers than discrete product industries. 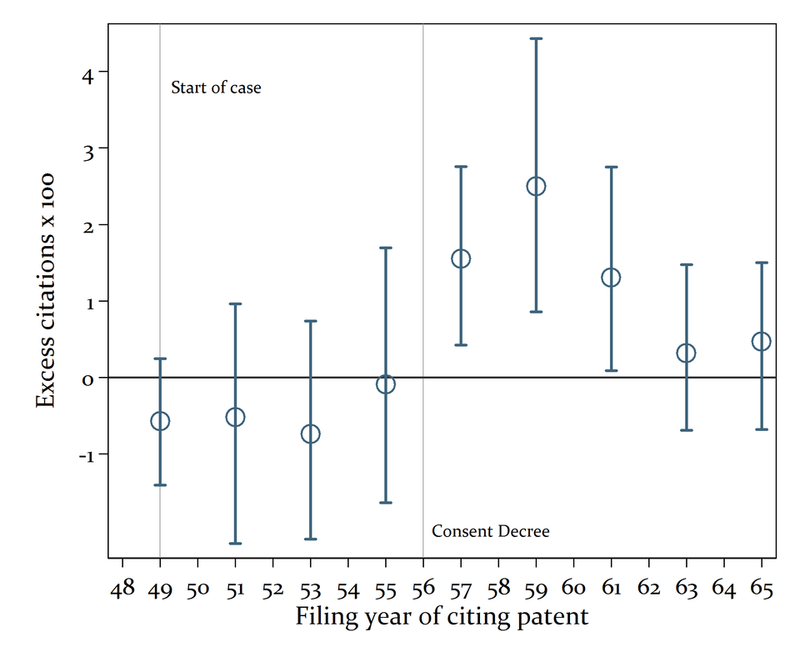 Spillovers are stronger for investments in a small set of start-ups that are characterized by an inventor team with prior patenting experience and that have a patented technology before receiving their first round of investment. This points to a complementarity between the supply of venture capital on the one hand and access to experience and technology on the other hand. The methodological contribution of our paper is the development of a novel definition of the spillover pool that combines elements of the citation-based and technological proximity-based approaches. It is well documented that graduates enter different occupations in recessions than in booms. In our article, we examine the impact of the resulting change in the allocation of talent for long-term productivity and output in a sector. In a setting where output can be quantitatively and qualitatively measured, we find evidence that talent flows to stable sectors in recessions and to cyclical sectors in booms: economists starting or graduating from their PhD in a recession are significantly more productive in academia over the long term than economists starting or graduating in a boom. Motivated by the differences in innovation intensity across countries, this paper evaluates the role of contract enforcement for R&D investments. If contracts for inputs are incomplete and contract enforcement is weak, innovative companies can be exploited by their suppliers. This reduces the incentive to invest in R&D. 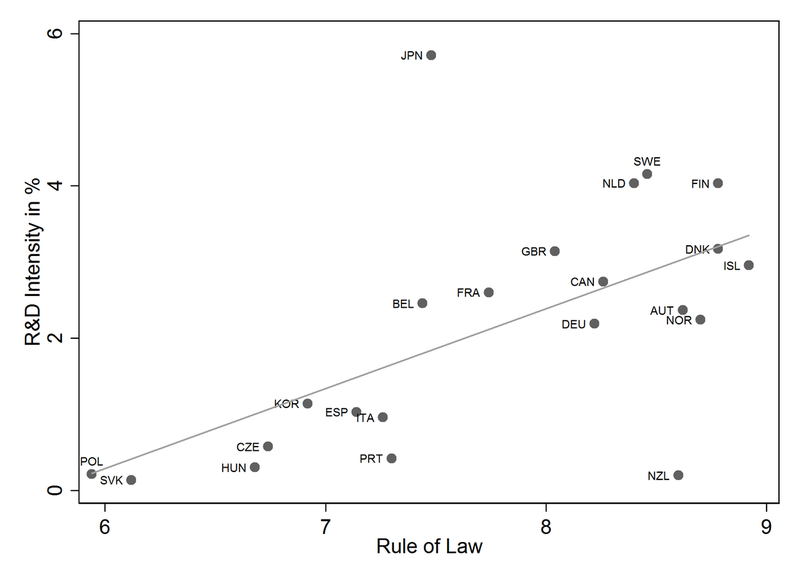 We find evidence supporting this prediction in the data: R&D investment increases with the quality of the judicial system and this effect is particularly strong in industries that depend more on bilateral contracts to acquire inputs and in which vertical integration is not a viable option. This article examines the impact of a credit crunch on market structure. We construct and simulate a dynamic model of a duopolistic industry in which firms’ investments in capacity are constrained by the availability of credit. In such an industry, the dynamic interaction of credit limits and the competitive responses of firms turn out to be a powerful transmission mechanism by which the effects of shocks persist and are amplified. We show that a small, temporary shock to one firm’s capacity can lead to its market exit, even if it is equally productive as the remaining incumbent. Consequently, if a recession is accompanied by a credit crunch, its cleansing effect might lead to monopolization of markets. Computational Economics 48.1 (2016): 105-130. Our study shows a negative association between the number and success of venture capital investments and the capital gains tax rate. This analysis uses the investment and tax data of 32 countries from 2000 to 2012. Our results support the theoretical predictions that higher capital gains tax rates are associated with fewer start-ups financed and a lower probability of receiving follow-up funding. However, if a company receives its initial funding despite a higher tax burden, its probability of success increases. Therefore, our findings are in line with a selection effect of taxes.